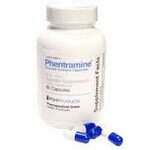 Phentramine diet pills are a weight loss solution that are manufactured by PGH Products. 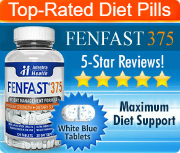 The name of the pills are a word play with the prescription weight loss drug known as Phentermine. The official website for Phentramine diet pills offers customers a significant amount of information about both the prescription drug and this herbal alternative. This helps to reduce the confusion that many dieters feel when they are trying to make the decision between a prescription medication and an over the counter alternative. 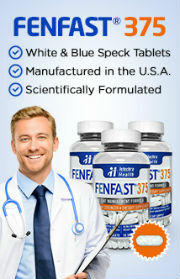 As an over the counter supplement, Phentramine diet pills are available without a doctor’s prescription. These pills can be ordered legally over the internet, though there is no satisfaction guarantee for 100 percent refund of the purchase price advertised on the official site. No testimonials could be found for this product at the time of this review. The primary active ingredients in Phentramine diet pills include citrus aurantium, ginseng, black pepper, cha de bugre, magnolia bark extract, guarana, and hoodia gordonii. Phentramine diet pills have been formulated in order to provide the appetite suppressing benefits associated with hoodia gordonii, which is a cactus-like plant. Hunters in South Africa would traditionally chew on the roots of the plant in order to keep hunger away when they would head off on long hunting trips. That said, since that time, clinical studies have shown that when compared to a placebo, hoodia showed no more ability to suppress the appetite. Phentramine diet pills also provide a significant energy boost due to its guarana ingredient. This stimulant is advertised as a metabolism booster, though studies have shown that it does not actually have this effect. Instead, it works to increase blood pressure and the heart rate. The claim is based on a common misconception that the body burns fat more effectively with the help of stimulants. However, this is not true of guarana as it is of caffeine. Cha de bugre is another cactus-derived appetite suppressing ingredient. In fact, its traditional use is comparable to that of hoodia. Ginseng has been proven to help mental acuity and focus but is not connected with weight loss. Another stimulant, citrus aurantium, contains synephrine, which is a highly controversial ingredient that is still legal – unlike its cousin, ephedra – but that many experts feel increases the risk of heart attack and stroke. Magnolia bark extract helps to improve the mood, assists in fighting off some gastrointestinal disorders, and has some properties as an antioxidant, but it does not help with weight loss.